Lifetime guaranteed employment sounds like a concept from an earlier age, or perhaps something that never existed at all. How about eternal, self-perpetuating employment? Economists can argue whether such a thing could ever be possible (economists argue about everything, you know), so it’s up to conceptual artists, plus a little seed money, to make it a reality. 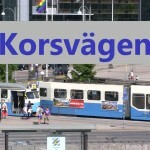 Their proposal in this case is to collect the prize money offered by Public Art Agency Sweden and the Swedish Transport Administration, intended for art installations at the still-under-construction Korsvägen station, and invest the sum (about $650,000) in both international and domestic Swedish securities. Per their projections, by the time the station opens in 2025, the account should have grown to the point of supporting the employment of one person, at fair living wages plus competitive benefits, in perpetuity. A slacker’s (or trainspotter’s) dream job, to be sure. There’s sweet silliness there, enough to make me cross my fingers that Goldin+Senneby land their grant, and then cross my fingers and toes for my own chances once I send them my CV. But don’t mistake silliness for the lack of message. (Sometimes silliness is just the right medium). Goldin+Senneby seem to want to blur the line that demands one economic class must constantly justify its existence, while another is free to create its wealth out of thin air. Why not leverage the means of the latter, in order to feed the former? 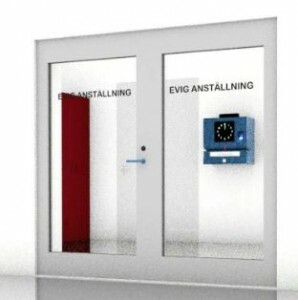 Subverting that paradigm might just open one job, in one Swedish railway station, for one person, forever. That’s a start, isn’t it? Doesn't know much about culture, but knows when it's going to hell in a handbasket. 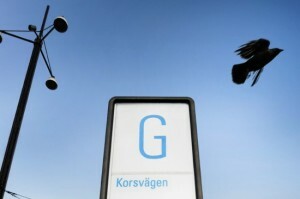 This entry was posted in New Post and tagged Art, Eternal Employment, Goldin+Senneby, Korsvägen, What is art?. Bookmark the permalink.